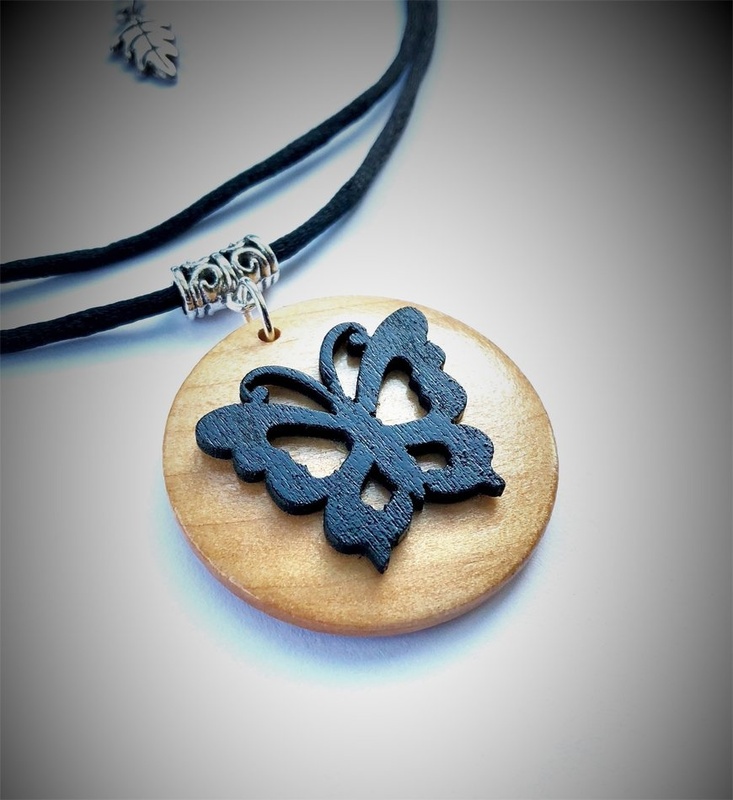 Wooden Butterfly Wrap-Around Necklace - with hand-painted butterfly on black statin cord with a silver-plated extension chain. Can be worn long or wrapped around the neck twice. Necklace Approx 74cm long. Please ask if you would like a different length.